"Two peas in a pod, we are (though I'm not allowed to eat peas during Passover . . .)"
Is the ban on peas because they are kitniyot? Like most things, there are many opinions on how to make the best matzo brei. This is how I like it. First of all, I prefer sweet over savory. That means I start by making a sauce for it. 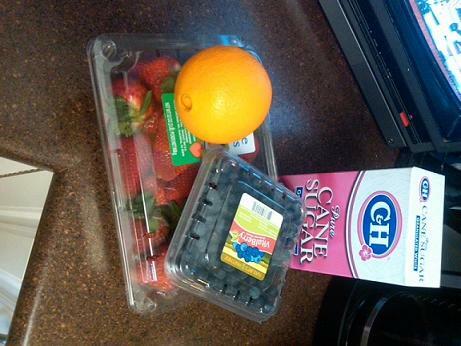 Wash berries and slice strawberries. Into a pot with the juice of the orange and some sugar. Cook over med-high heat until the berries are soft and have released some juice. 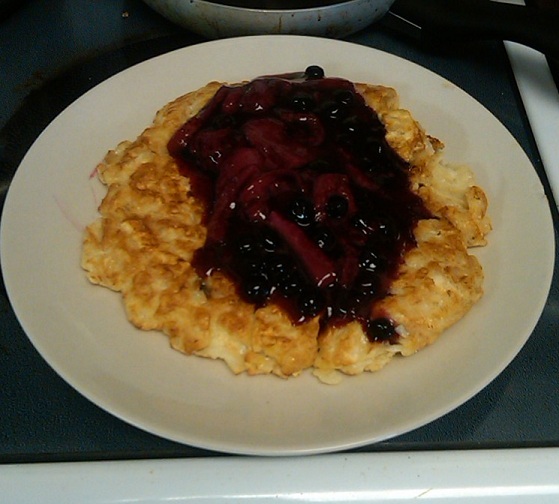 You can leave it as is, but I wanted to tighten it up a bit, so I mixed some potato starch into cold water, poured a little in and simmered until it thickened. 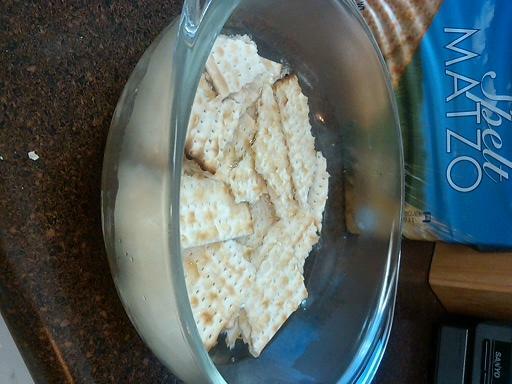 Next - break up 1 matzo board and into a bowl - cover with boiling water (I use an electric kettle but you can use hot tap water). Mix and let it sit for 2-3 minutes. Add some salt and 1 large egg. Mix well. 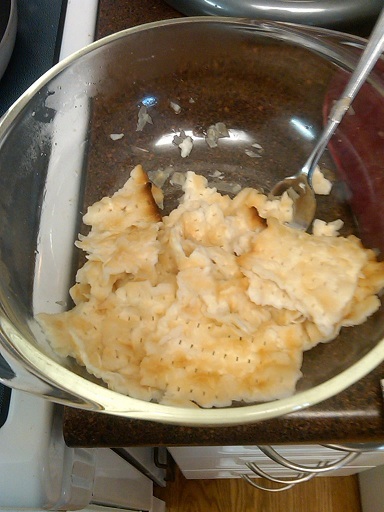 Cook for 3-4 minutes, or until golden brown. 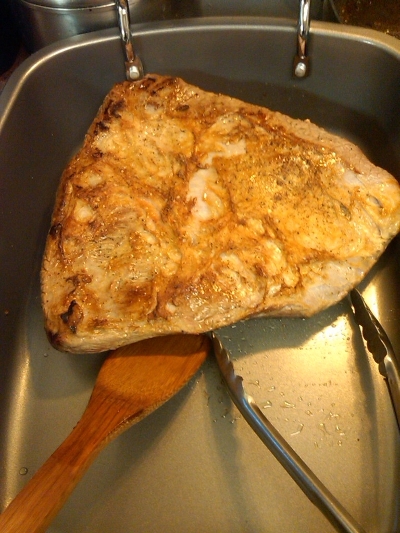 I use a large spatula to flip it over then cook the other side until brown -- another 3-4 minutes. 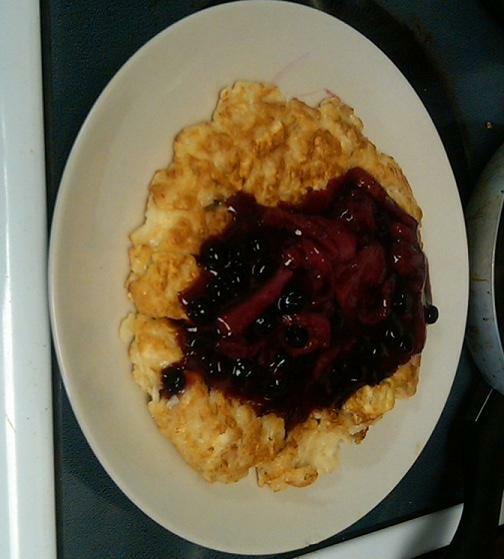 Flipped onto a plate and topped with berry sauce. 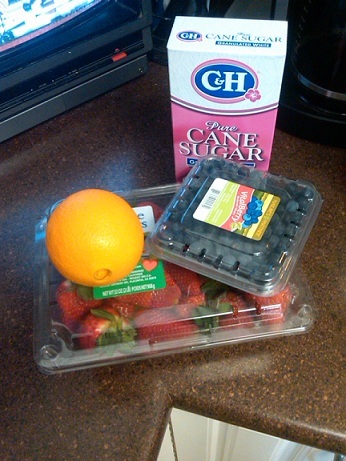 This was breakfast. If you like it sweet you can use maple syrup or jams and preserves. Some people like it with lots of salt and pepper. Pheh. Pretty good actually. There will always be something we over-order and some things will be short -- we can only guess at the numbers. We'll have to wait until Friday to get a real sense of what's left. Hopefully all our customers are at home cooking up a storm and running out of things. I won't be making gefilte fish, but it may make an appearance tonight. Matzo balls are on the schedule. 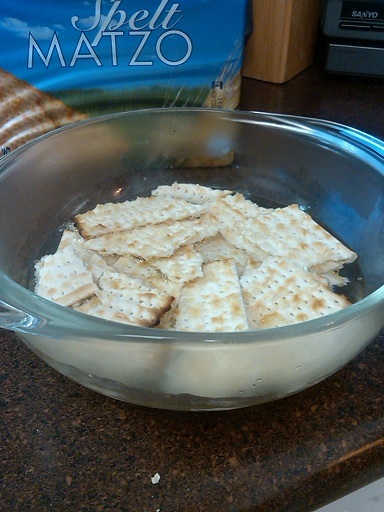 We don't sell charoset -- but I will be making the classic Ashkenazi version for tonight. Sometimes I make a date version which would be considered more Sephardic. I also like versions with mixed fruits and different nuts. It's fun to experiment with the flavours -- really, you can do so many different things, can't you? It seems that every year there's more available at Passover. Most of the cheeses we sell all year are kosher for Passover. My favorite cheese is a sheep feta from Israel. But we get a great assortment of cheeses in for the holiday. AI Foods is making some nice cheeses now and we bring in a lot of Israeli dairy. There's also a Canadian company that makes pressed cottage cheese that's incredibly popular around these parts. I'll be using some of it later in the week. Exactly! I avoid things that are considered kitniyot . . though the more I think about it the more I think it's not necessary. But it is tradition! Most of the food I need for the week we sell. 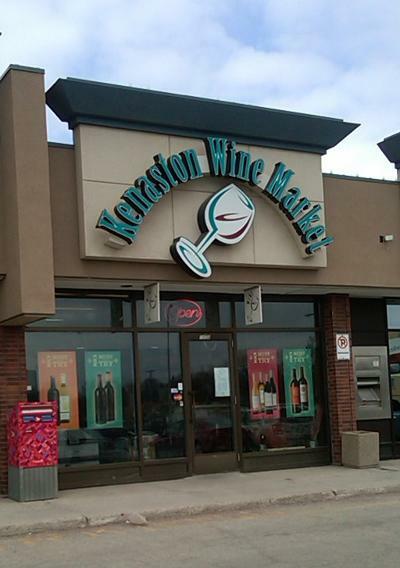 But we don't sell wine, produce or eggs. 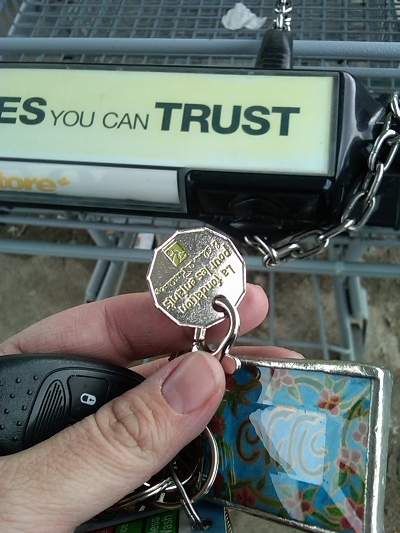 So when I finally finished up at work yesterday, I made two stops on my way home (and saw customers in both places). No question, they have the best selection of kosher wine in the city -- and they also happen to be about 2 blocks from my store. I'm allergic to alcohol (can't drink it, but I can cook with it), but I needed some wine for my brisket and picked up a couple of bottles for dinner tonight. During a seder we're supposed to drink 4 glasses of wine. Little children (and I) drink grape juice. 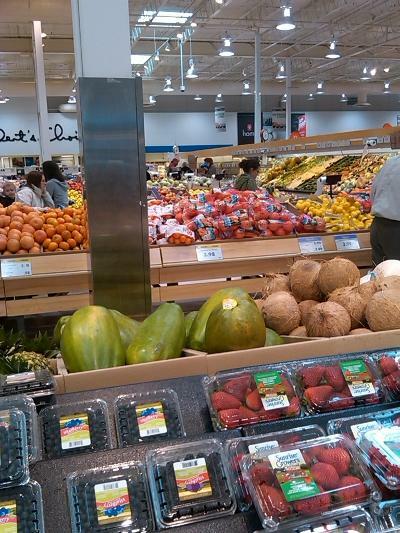 I was here for eggs and produce. Nicely stocked but they didn't have any peppers other than sweet. By the way, very little local products available. We had snow on the ground last week and it's been hitting temperatures below zero at night. We're a ways off from local produce. 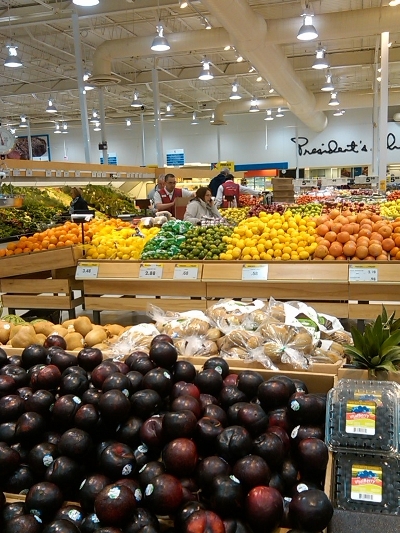 This is the largest supermarket in the area and has a pretty good produce department. You also must bag your own groceries and pay for plastic bags. I usually have reusable bags in my car which I realized were in my garage once I got to the store. I did have a bunch of plastic bags in my car that I used. Anybody else paying for plastic bags out there? Not here, not yet. How much? Paying for plastic (and some paper) bags has been standard here for about a decade, and runs from DKK2 to DKK4.50 (about 40 to 75 US cents each, if I've done the math correctly). I've never actually bought a bag, though, since like most people do here, I bring a backpack/reusable cloth shopping bag(s). I didn't realize this was happening in North America, too. Five cents a bag I think. I rarely buy any. I have a collection of reusable bags that I try to keep in the car -- it's just that in the craziness of the last couple of weeks I forgot to check the car before I went to work yesterday to make sure I had them. But I grabbed some bags from work before I went shopping. We still give bags (no charge) but encourage customers to bring their own. A few years ago we had some reusable bags made and gave them out pre-Passover. And we use a lot of cardboard boxes. In the last month we've received . . I'm not sure. 3,000 boxes minimum. Anything that could be used to pack orders was used. Anything that can't be used gets schlepped to the recycling center. It's been at least a decade here too. They charge less here but the bags are pretty flimsy. I should point out that this is the only chain that charges for bags. 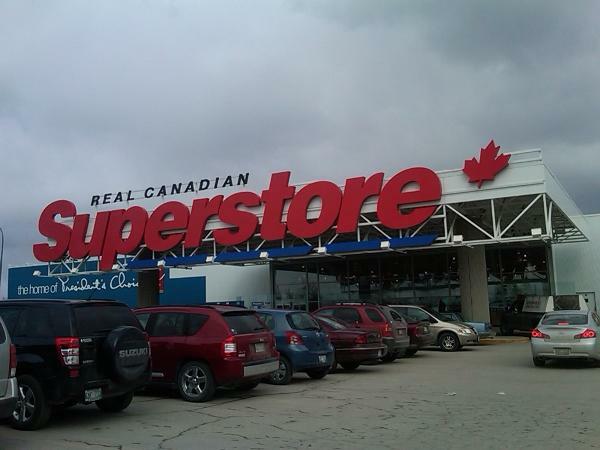 The other 2 big grocery chains here (Safeway and Sobeys) do not charge for bags, offer more service and generally charge more. I've been prepping dinner most of the day. *The store means my store. More details coming up - some might have to wait until after dinner. 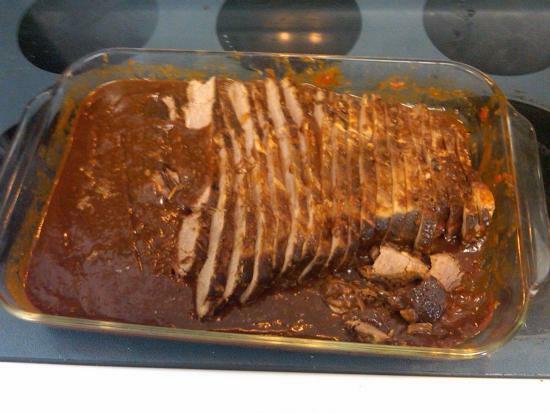 We've always had brisket for holiday meals. Usually garlic brisket prepared by my mom or dad -- but that was based on a recipe that my grandmother used when I was a child. I love that recipe and it's what we make at work, but tonight we're using my recipe. First, salt and pepper both sides of the brisket (this one is 5 1/4 lbs). Heat olive oil over high -- I used a large skillet because I can't find the Dutch oven I'd normally use (I'm moving in the next month or two and I've started packing some things -- like Dutch ovens that I haven't used since last Passover because I was supposed to be in my new kitchen last December). Anyway - brown it on both sides. Then transfer it to a large roasting pan (or just use a large roaster if it's stove-top safe). 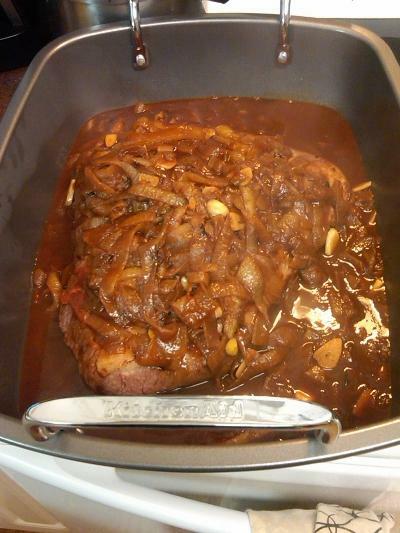 This brisket has a thin layer of fat covering most of it -- it would be better with some more but people are always looking for the leanest roasts . .
A bunch of onions go into the pan that I used to brown the brisket. 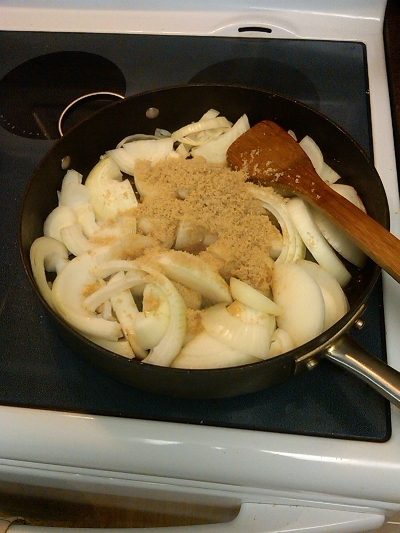 Some brown sugar is added. 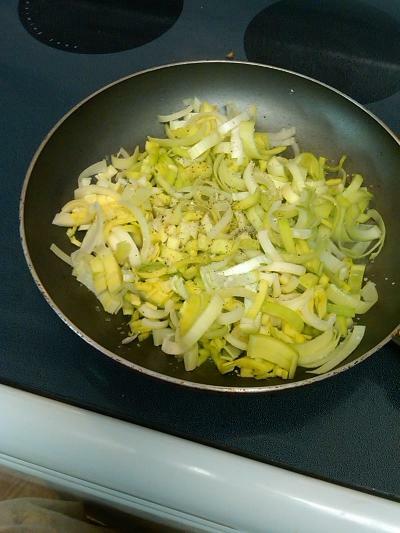 Cook, stirring, until the onions are soft and starting to brown. 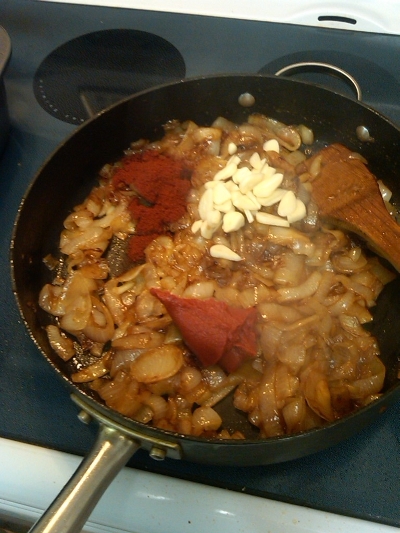 Then add tomato paste, sliced garlic cloves and sweet paprika. Stir and cook for another minute or so then add some dry red wine -- about 1 1/2 cups. Cook a couple of minutes, until it's reduced then add 2 cups of chicken stock. Bring up to a simmer and pour over the brisket (or return the brisket to the pot if you're using something large enough). Cover with lid or tightly with foil and into a 325 oven for 2 1/2 - 3 1/2 hours, depending on the size and thickness of the brisket. When it's tender, pull it out of the oven. Chill overnight or until completely cold -- so that the fat hardens. Remove the fat with a spoon. Scrape all of the onions, garlic and sauce from the brisket and set the brisket aside. Use a blender, food processor or immersion blender to puree the sauce. 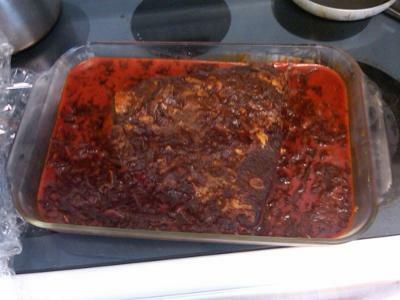 Slice the brisket and return the slices to the sauce. When we're ready to heat it, I'll make sure the brisket is covered in sauce. Here it is sliced, before returning to the fridge until later. 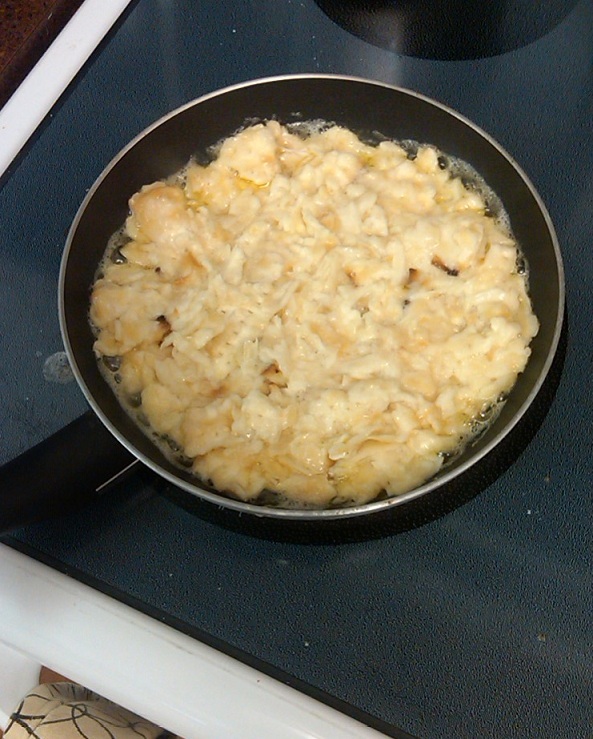 You can make all sorts of kugels -- using different vegetables, noodles, potatoes, pieces of matzo. All kinds of combinations. I like this one because it's very light and more about the vegetables than the starch. First, slice up a large head of cauliflower -- 3/4-inch is good. Toss with olive oil, salt and black pepper and roast until it starts to brown on both sides. While that's in the oven, wash and slice leeks. Sweat in olive oil with some salt and pepper until soft. 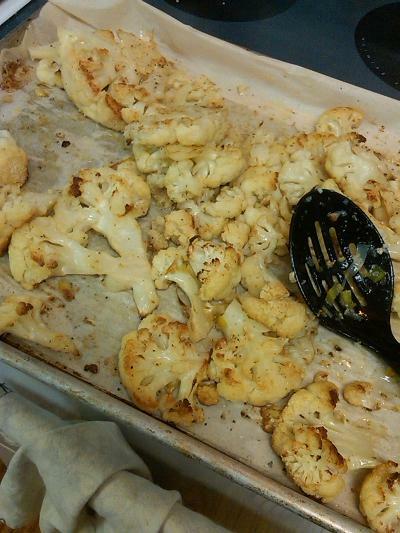 When the cauliflower is ready, put it into a large mixing bowl and mash it with a potato masher or a spoon. 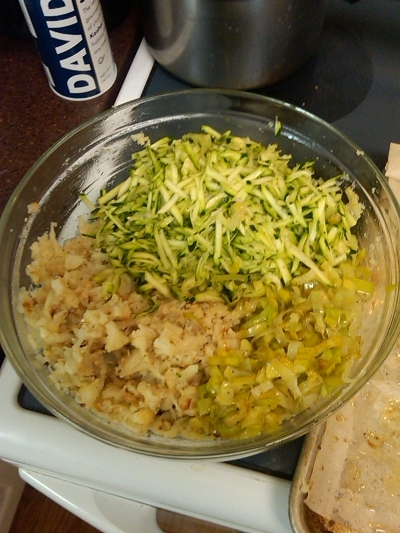 Add the leeks and some grated, raw zucchini. Add eggs and matzo meal. Mix everything together. 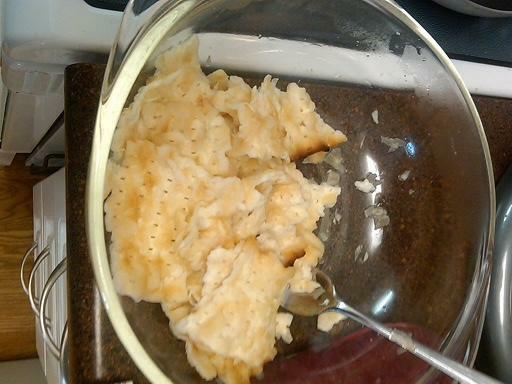 At this point I like to take a little - a couple of tablespoons - and microwave it for a minute or so. Taste it and check for seasoning. Add salt and pepper if necessary. 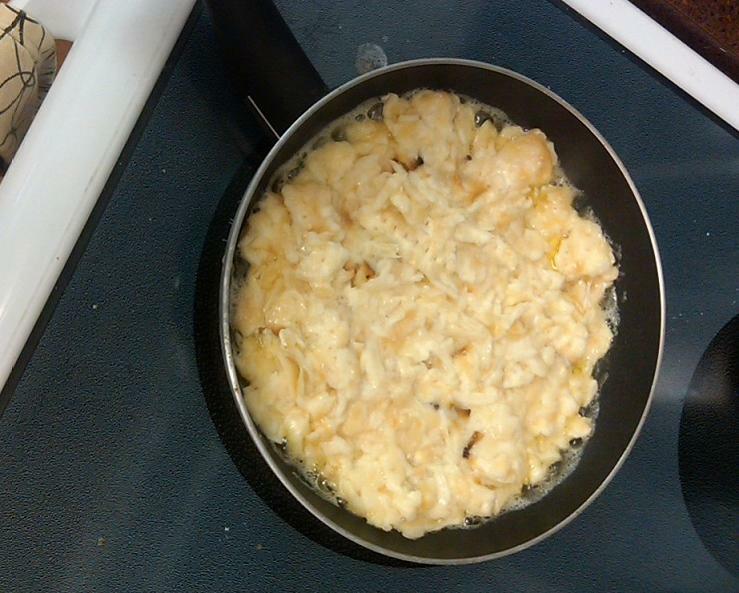 Pour batter into a casserole dish that's been oiled and bake for 60-75 minutes or until golden brown. We'll cut and reheat it before dinner. Guests are coming in a couple of hours and I need to get going. If I'm not back before, I'll post more after dinner. Washington, DC just started ( January 1st) charging a nickel a bag. NYC still doesn't. I think San Francisco might've been the first city in the US to charge for bags. Perfect looking brisket - your method is my favorite. The brisket is nice and juicy when served. 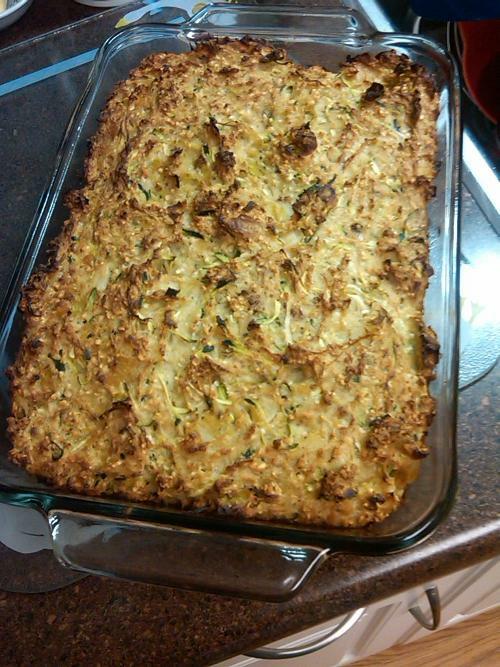 Matzo brei and fritatta - identicial cousins! Pam, I'm really enjoying your blog. Your menu is fantastic, and I wish I could eat some of that brisket. Thanks, Mitch. Chag sameach to you! Are you sedering it tonight? If yes, menu? Thanks! You should make one - it's easy! 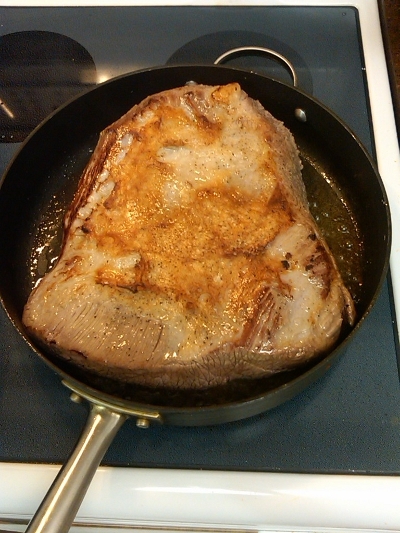 It always works with a chuck roast. 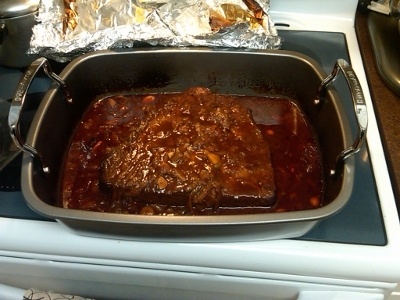 My sister, not a beef eater, tried a chuck roast I made this way and proclaimed it The. Best. Roast. Ever. Soup and meatballs are warming up on the stove. Potatoes, kugel and brisket are in the oven. Salad, chopped liver and gefilte fish are waiting in the fridge. Table is set. House smells so good. Not in Sydney as yet. One of our other state capitals, Adelaide, has banned them outright. Pam, the brisket looks fabulous. Is the recipe in your cookbook? Stores here in Chicagoland are still profligate with free plastic bags, but my Dad's grocers in Ottawa charged a quarter a bag. I might have to make your brisket for Easter dinner! It is! And it was as good as ever. Love this brisket. And now, I. Am. So. Tired. Going to sleep. Will post dinner pictures in the morning. We don't have to pay for bags but reusable ones are encouraged. At Aldi you have to bring or buy reusable bags. That's true here as well. Some of the grocery stores offer a small discount for each bag YOU provide; I think it's 5 cents for reusables and 2 cents for plastic.